No-No has had it up to his bill with his mundane existence in Underwood Springs… After sounding out his friends, he decides do go off in search of adventure with his tiny companion Magaïver the crab! But then rain stops play: if there’s one thing our duck-billed platypus pal can’t stand, it’s getting his feet wet… So the two friends postpone their great adventure until the weather improves…but it rains incessantly for days on end, and before you know it, their little village has disappeared beneath the floodwaters. 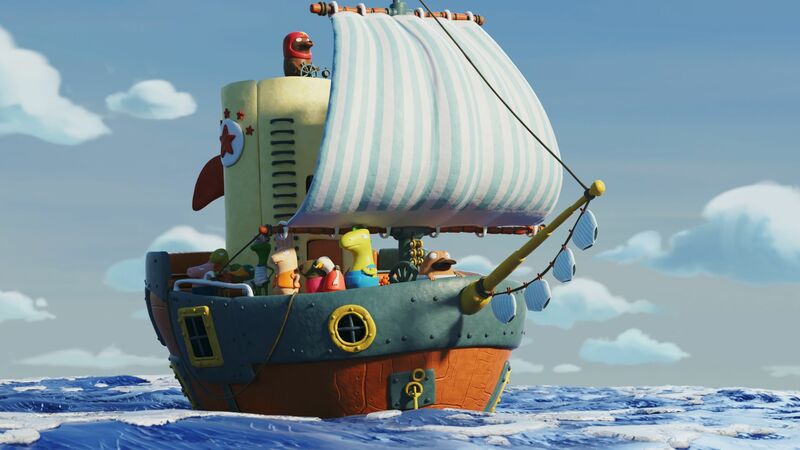 No-No now finds himself in command of a very quirky boat, knocked together by his buddy Bigtooth. No-No must bring his fellow-citizens to a safe haven, and brave storm, shipwreck, and a mischievous dinosaur… He wanted adventure, and he’s going to get it!